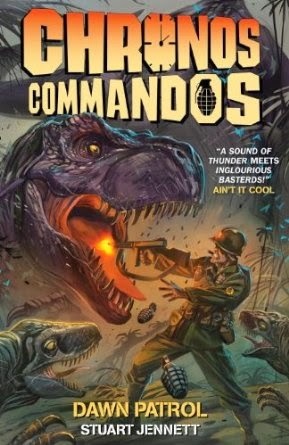 Alien Apple Studios: Chronos Commandos: Dawn Patrol collected hardback on sale now !!!!! Chronos Commandos: Dawn Patrol collected hardback on sale now !!!!! We're pleased to announce that the collected hardback of Chronos Commandos Vol 1 : Dawn Patrol from Titan Comics is now officially on sale. Also available from all good book stores and Amazon.com. Don't miss out, see what all the critics have been raving about .